Jazz singer Sara’s quartet is a very popular band. Sara sings classic jazz standards and Brazilian bossa nova material, supported by guitar, double bass and saxophone/trumpet. In high demand for champagne receptions, restaurants, hotels and corporate events. Sara Oschlag’s quartet comprises four top-class musicians: a classic jazz singer, sax, guitar and double bass. They’ve played hundreds of weddings, functions and parties. They first performed together on Swan Hellenic’s flagship in 2003, and were immediately re-booked, and have stuck together ever since. Sara’s world-class jazz vocals are tastefully accompanied by the double bass and guitar, while the jazz sax plays classy interplay to complete the sound. 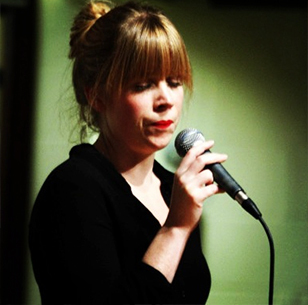 Sara sings songs from all the jazz eras, and is a thoroughly charming performer. Clients very often re-book her repeatedly, and her testimonials are always first-rate. 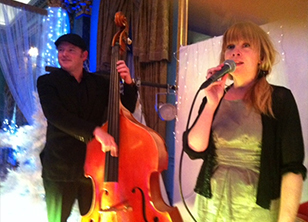 Another speciality of Sara’s is to play at corporate events – her list of corporate clients is impressive. Her classic jazz vocals are frequently called upon to add that special touch of class to award ceremonies, company shin digs and office parties. Sara is also available in smaller and larger jazz bands: the Sara Oschlag duo consists of vocals plus guitar or piano; Sara’s trio consists of vocals, guitar and double bass; Sara also sings in this gypsy jazz band; and this eight-piece swing band. For a no-obligation quote please contact us using the enquiry form. Got an enquiry, or want to book this band? Call today. 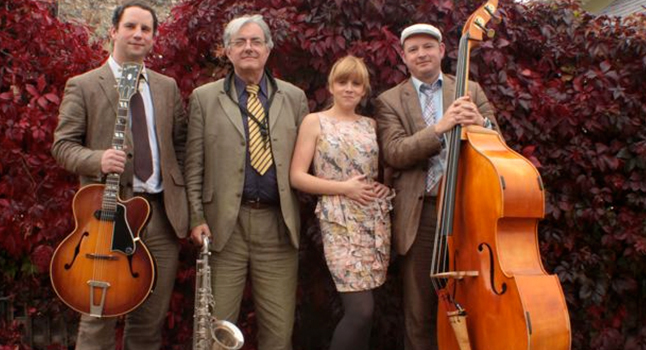 If you have any questions or wish to make an enquiry about booking this jazz band to play at a wedding reception, party, corporate event, jazz festival, or if you are planning to hire experienced jazz musicians to play live at your special occasion CALL US TODAY! Follow us on these social networking sites and receive updates and special offers for you and your friends!